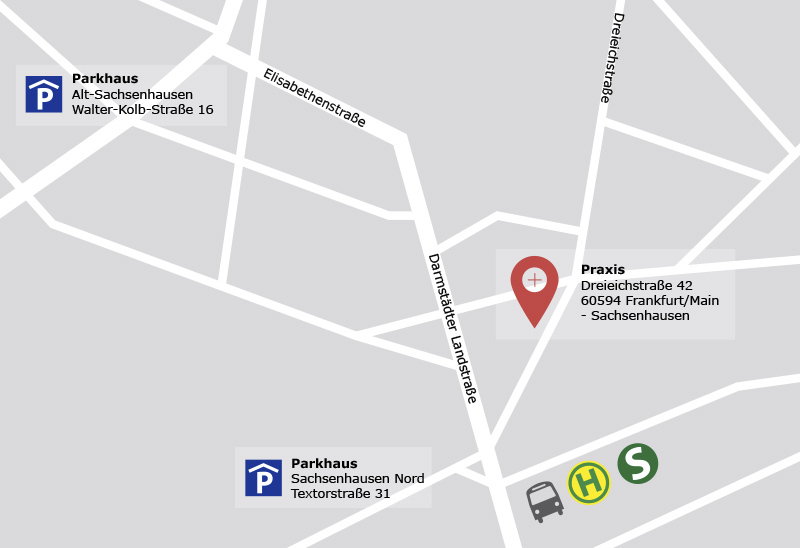 My clinical office is located on the mezzanine floor of a residential and office building in Frankfurt-Sachsenhausen, opposite the tram station “Lokalbahnhof” and near the cinema Harmonie. The building also houses the GP clinic of Dr. Jacob and Dr. Nüsse and the speech-therapy offices „Wortreich“. A bike rack is available on Dreieichstraße right in front of the building.